These five Texas resorts, all within driving distance of Dallas, offer different outdoor experiences. Photo courtesy of The Inn at Dos Brisas. 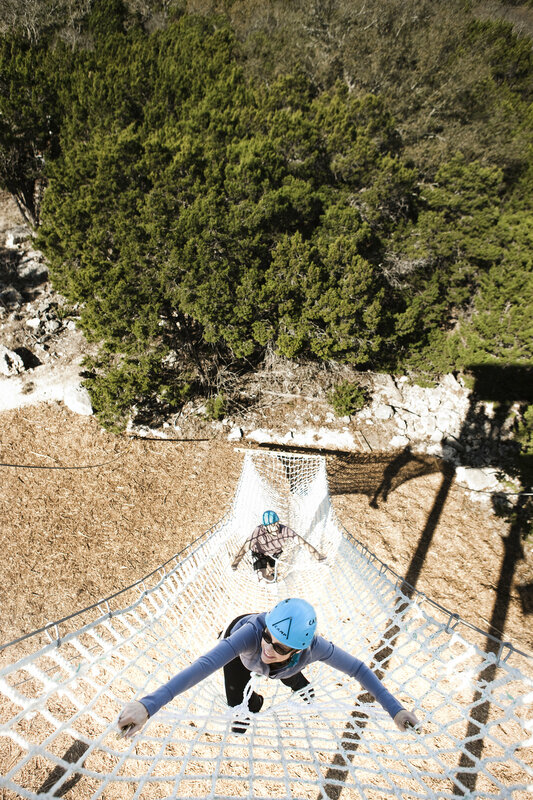 Texas, ever expansive, is home to many accessible outdoor activities that evoke a sense of adventure that’s perfect for couples. Incorporating romantic dinners and a flirty dip in a sparkling infinity pool along with some adventure can create the perfect concoction for a romantic getaway. These weekend retreats are foundation building for couples looking to know one another better or infuse their relationship with a jolt of romance. From car-ride conversations to adrenaline-pumping excursions, we’ve gathered five Texas resorts for active couples in need of a quick retreat. 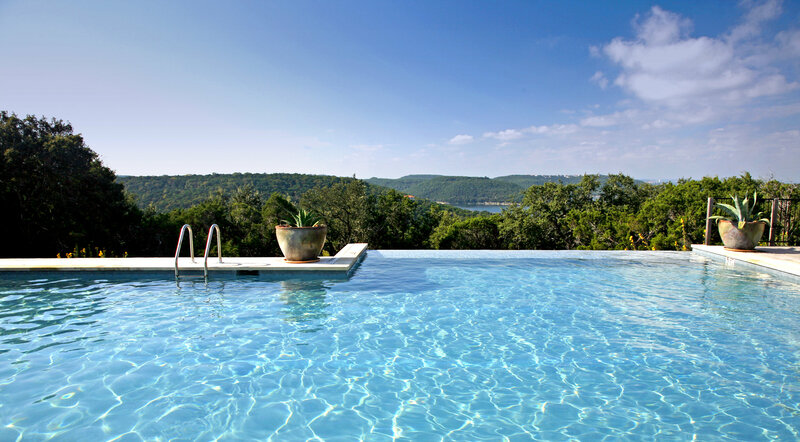 The resort’s infinity pool overlooks Lake Travis. Photos courtesy of Travaasa. This resort and spa offers a restful stay as well as a range of outdoor activities ideal for flirtation. The setting is peaceful, as every aspect of Travaasa is saturated with nature. 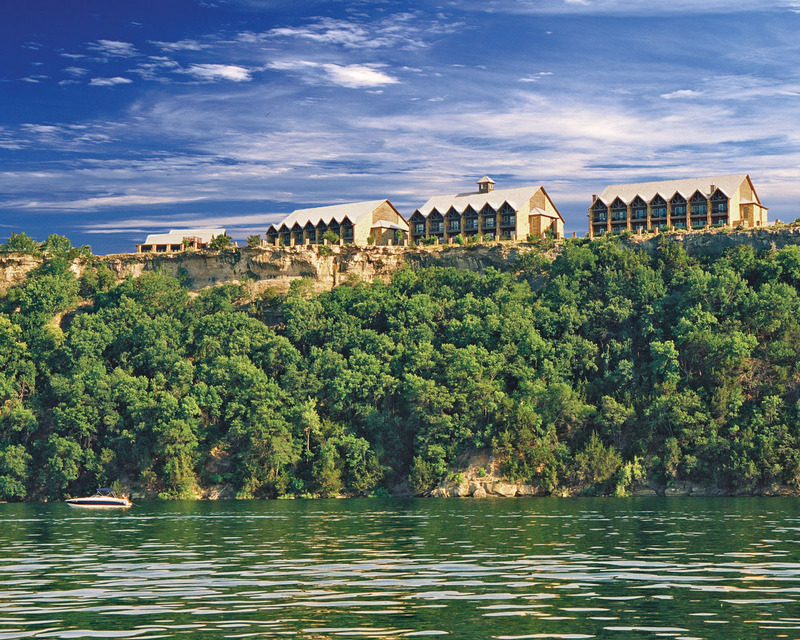 Perched on the hills of the Balcones Canyonlands Preserve, the resort overlooks Lake Travis. “Experiential” is the mantra for this destination, and many of the experiences are done in tandem. Bust out of your comfort zones together. Travaasa Austin offers different outdoor experiences. From archery classes to launching yourselves 45 feet in the Giant Swing, there is no shortage of adventure. And if obstacle courses and hatchet throwing are a little too valiant for a weekend getaway, Travaasa offers a plethora of yoga options, meditation classes, a spa, and a tranquil infinity pool overlooking the lake. Re-fuel at a romantic, candle-lit dinner with farm-to-table fare in The Preserve Kitchen + Bar, where most of the food is produced by the resort’s on-site farm. The Cliffs Resort sits 200 feet above Possum Kingdom Lake. Photo by Rick Muniz Photography. Perched 200 feet above Possum Kingdom Lake, this resort capitalizes on its natural surroundings. (It’s also the perfect backdrop for a couple selfie.) From fishing and water skiing to sailing and scuba diving, Dallas couples need not venture far for an aquatic escape. Engaging in something together that isn’t part of your everyday routine will spark some excitement in the relationship. In addition to the resort’s private marina, the 1,090-acre resort has a pool if you’re looking to soak up the sun with your love. There’s a good balance for couples to share edgier activities as well as softer, pampering ones. End your day at The Cliffs’ The Chaparral Grille offers southwest-inspired cuisine with indoor and outdoor seating options. The patio’s fire pit sets the stage for a serene, romantic evening, with a colorful sunset serving as the backdrop. There’s nothing like a kiss underneath a Texas sunset. The resort capitalizes on its natural beauty, offering several different outdoor activities. Photos courtesy of The Inn at Dos Brisas. This retreat, nestled among the rolling meadows of the eastern foothills of Texas Hill Country, blends sumptuousness with rustic appeal. (Perhaps you’ll want to bring your matching cowboy and cowgirl boots to fit the part.) The 313-acre resort offers an adrenaline-packed jaunt or a peaceful, soothing escape. The five-star dining options and wine cellar are included in the main attractions, supplied by the inn’s own organic gardens and greenhouse. The dining room is intimate, creating the perfect scene for that delicious getaway dinner. 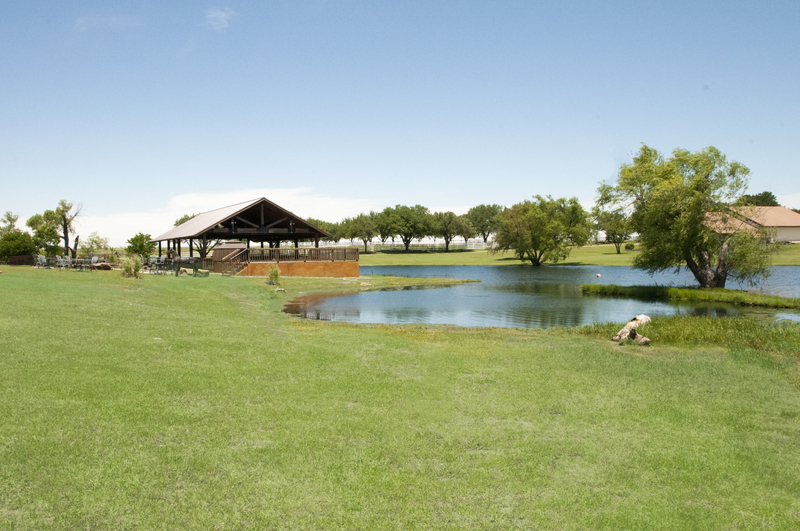 The resort has the second-largest privately owned indoor riding arena in Texas. To make this intimate date night even more out-of-the-ordinary, the resort has its own mixology classes, crafting cocktails from scratch with organic herbs and veggies. Many couples seek cooking classes for a playful date night, but add in beverages and you’ve got yourself a quality time. Equestrian lovers will be right at home as the inn has the second-largest privately owned indoor riding arena in Texas. Fly-fishing is also another popular option for this getaway, and being out on the water together can create many opportunities for intimate chats. Perhaps a celebratory kiss will take place if either of you are lucky enough to have the fish bite. Often times when we think of Fredericksburg, we think wine and vineyards. But brew tours are prevalent and offered on the weekends. Sipping beer and having a leisurely afternoon has the potential to foster good conversations for couples on this getaway. Being in a laidback, casual atmosphere like breweries helps inspire that carefree vacation feel and the excitement of exploring a new city together. Fredericksburg Uncorked offers a brew tour that visits several local brewing companies and lasts for four hours. Beer tasting is included, as well as bottled water and snacks to accompany the brewery sips. Breweries you’ll check out on the tour include Double Horn Brewing Co., Pecan Street Brewing Co., Real Ale Brewing Co., Pedernales Brewing Co., and Fredericksburg Brewing Co. Foregoing the traditional hotel room with this getaway, couples can enjoy a cozy cottage to mix it up. The private cottages each have their own character and give couples the privacy they need for a romantic hideaway. In between the cottage stay and brewery tours, couples can enjoy a hand-in-hand walk down Main Street, one of Fredericksburg’s main attractions. From the shops and restaurants, couples find solace in the quaint, old-fashioned street. Plus, some portions of the street allow folks to carry open wine and beer containers, as they are enjoying their stroll. You can herd cattle at this ranch, which is about an hour from Dallas. Image: © Susan Geissler 2016. 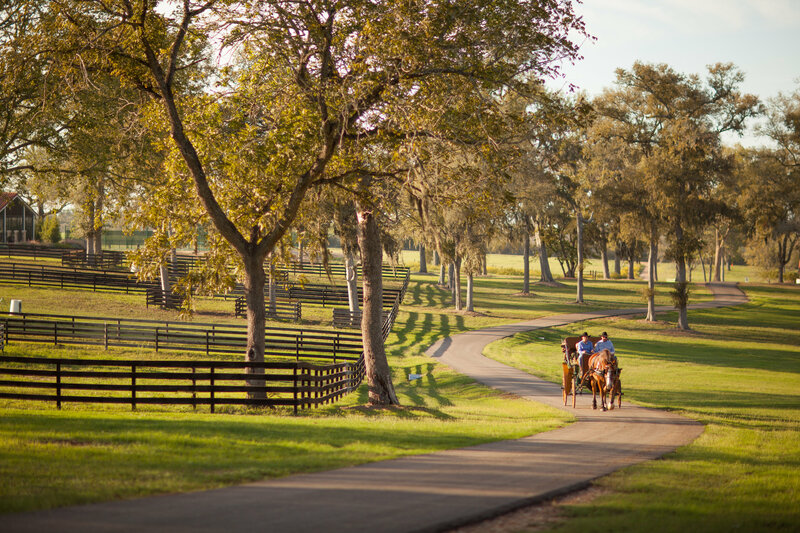 Just 35 miles south of Fort Worth, this 800-acre ranch offers a stereotypical Texas experience complete with activities such as cattle driving and herding. (They’ll even teach you how to rope.) Perhaps you can wager a bet with your partner. Nothing strikes the love chord like some friendly competition. If you’re seeking a thrill ride together that may get a little bumpy, an ATV expedition might be for the two of you. The ATV takes you along the most challenging terrain of the ranch property. And, of course, the ranch experience wouldn’t be complete without shooting activities. 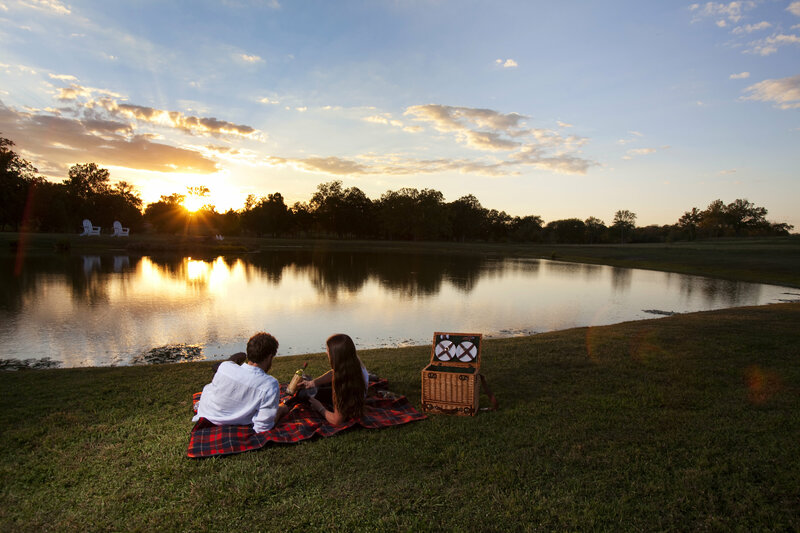 If you decide you want to make an entire couples weekend of it, Beaumont Ranch also offers overnight accommodations. This quick getaway is just far enough outside of Dallas to give you some time away together as a couple for a quick, overnight escape.